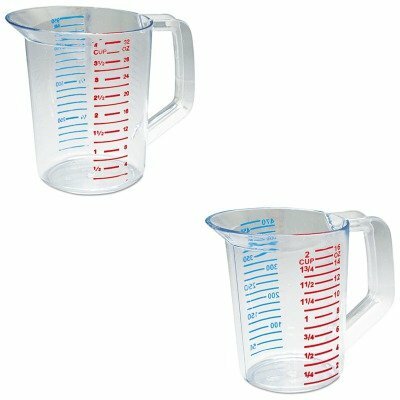 lt;stronggt;RCP3215CLElt;/stronggt;lt;BR/gt;Rubbermaid-Clear Bouncer Measuring Cups 1 Pintlt;BR/gt;Break- and temperature-resistant polycarbonate withstands temperatures ranging from freezer cold to pressurized-steam heat: -40F to 212F. Hot-stamped, color-coded standard and metric measurement markings ensure easy legibility and fade-resistant longevity. Commercial dishwasher safe. 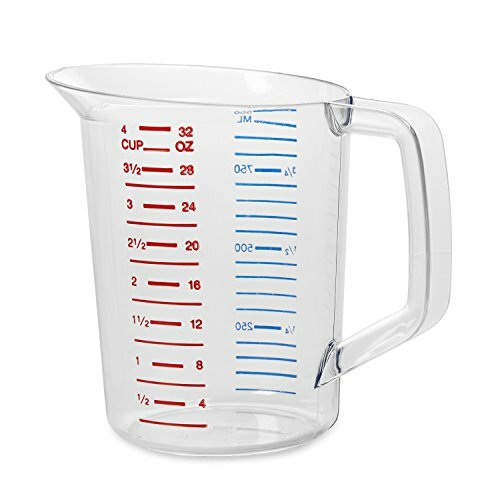 Cup Type: Measuring Capacity Volume: 16 oz Materials: Polycarbonate.lt;BR/gt;lt;BR/gt;lt;stronggt;RCP3216CLElt;/stronggt;lt;BR/gt;Rubbermaid-Clear Bouncer Measuring Cups 1 Pintlt;BR/gt;Break- and temperature-resistant polycarbonate withstands temperatures ranging from freezer cold to pressurized-steam heat: -40F to 212F. Hot-stamped, color-coded standard and metric measurement markings ensure easy legibility and fade-resistant longevity. Commercial dishwasher safe. 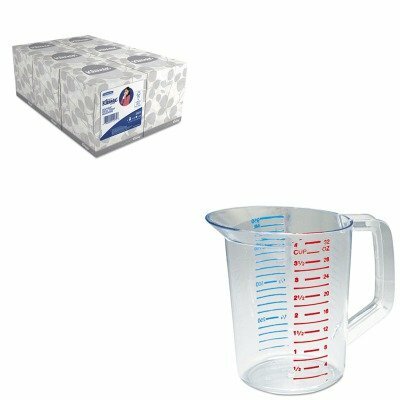 Cup Type: Measuring Capacity Volume: 32 oz Materials: Polycarbonate. 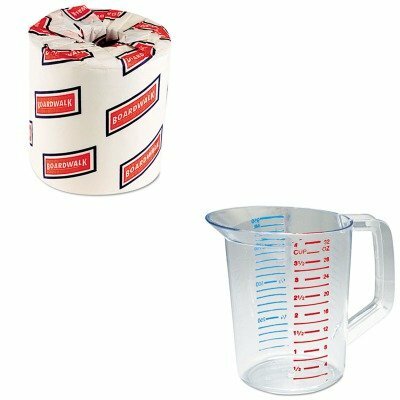 lt;stronggt;RCP6304CLElt;/stronggt;lt;BR/gt;Rubbermaid-4 Qt. Clear Square Carb X Space Saving Container; 8 3/4quot; X 8 5/16quot;lt;BR/gt;Store more when you choose SpaceSaver Square Containers. Bright and bold volume gradations help ensure precise measurements. Smooth surfaces deliver easy-to-clean convenience. Durable construction provides excellent crack- and puncture-resistance. Nestable/stackable design allows you to maximize your use of space. Dishwasher-safe. Food Container Type: Storage/Tote Box Materials: Polycarbonate Capacity Volume: 4 qt.lt;BR/gt;lt;BR/gt;lt;stronggt;RCP3216CLElt;/stronggt;lt;BR/gt;Rubbermaid-4 Qt. Clear Square Carb X Space Saving Container; 8 3/4quot; X 8 5/16quot;lt;BR/gt;Break- and temperature-resistant polycarbonate withstands temperatures ranging from freezer cold to pressurized-steam heat: -40F to 212F. Hot-stamped, color-coded standard and metric measurement markings ensure easy legibility and fade-resistant longevity. Commercial dishwasher safe. 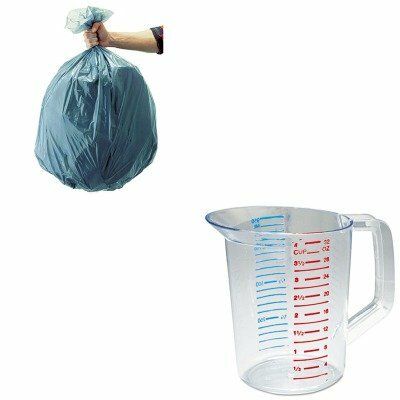 Cup Type: Measuring Capacity Volume: 32 oz Materials: Polycarbonate. 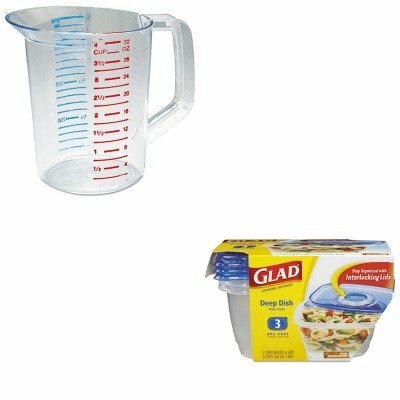 lt;stronggt;COX70045PKlt;/stronggt;lt;BR/gt;Glad GladWare Plastic Deep Dish Containers with Lidslt;BR/gt;Conquer cabinet clutter with these containers, as interlocking lids keep same-shaped lids stacked neatly in one place. Simply press down on the center button to lock lids together. Extra-sturdy with a tight seal to seal in freshness. Microwave, freezer and dishwasher safe. Easy to store. Food Container Type: Plastic with Lids Materials: Plastic Capacity Volume: 64 oz Colors: Clear/Blue.lt;BR/gt;lt;BR/gt;lt;stronggt;RCP3216CLElt;/stronggt;lt;BR/gt;Glad GladWare Plastic Deep Dish Containers with Lidslt;BR/gt;Break- and temperature-resistant polycarbonate withstands temperatures ranging from freezer cold to pressurized-steam heat: -40F to 212F. Hot-stamped, color-coded standard and metric measurement markings ensure easy legibility and fade-resistant longevity. Commercial dishwasher safe. 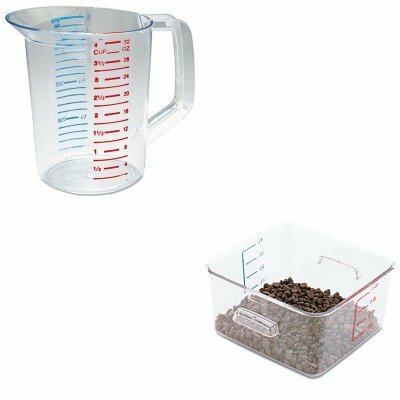 Cup Type: Measuring Capacity Volume: 32 oz Materials: Polycarbonate. 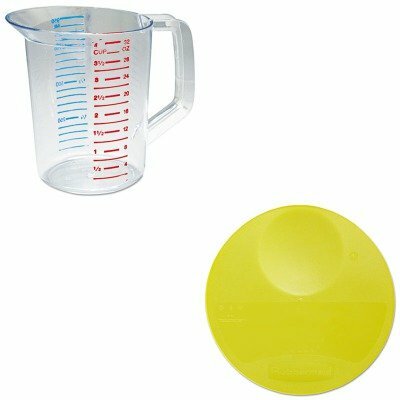 lt;stronggt;RCP3218CLElt;/stronggt;lt;BR/gt;Rubbermaid-Clear Bouncer Measuring Cups 4 Quartlt;BR/gt;Break- and temperature-resistant polycarbonate withstands temperatures ranging from freezer cold to pressurized-steam heat: -40F to 212F. Hot-stamped, color-coded standard and metric measurement markings ensure easy legibility and fade-resistant longevity. Commercial dishwasher safe. 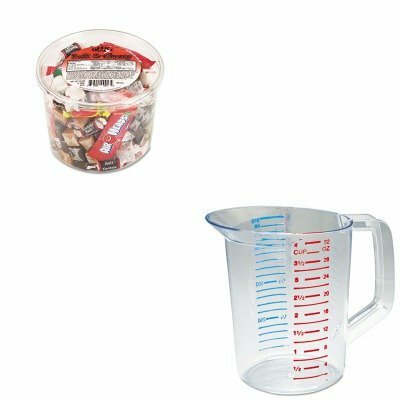 Cup Type: Measuring Capacity Volume: 4 qt Materials: Polycarbonate.lt;BR/gt;lt;BR/gt;lt;stronggt;RCP3216CLElt;/stronggt;lt;BR/gt;Rubbermaid-Clear Bouncer Measuring Cups 4 Quartlt;BR/gt;Break- and temperature-resistant polycarbonate withstands temperatures ranging from freezer cold to pressurized-steam heat: -40F to 212F. Hot-stamped, color-coded standard and metric measurement markings ensure easy legibility and fade-resistant longevity. Commercial dishwasher safe. 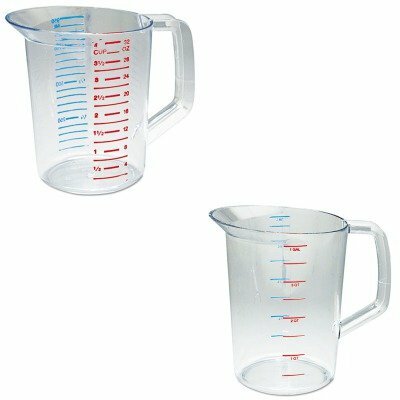 Cup Type: Measuring Capacity Volume: 32 oz Materials: Polycarbonate.